In the heart of historic Rome a controversial parking garage is currently being planned to be built between the Lungotevere at the level of Ponte Mazzini and Via Giulia. The area had already been cleared in the late 1930s so as to provide a link between the bridge (Ponte Mazzini) and Corso Vittorio Emanuele II. Only the first part of this planned wide road was prepared at the cost of demolishing buildings between the bridge and Via del Pellegrino. Excavations began in 2010 for the underground parking garage, but work was stopped because of ancient ruins discovered in the north half of the site. 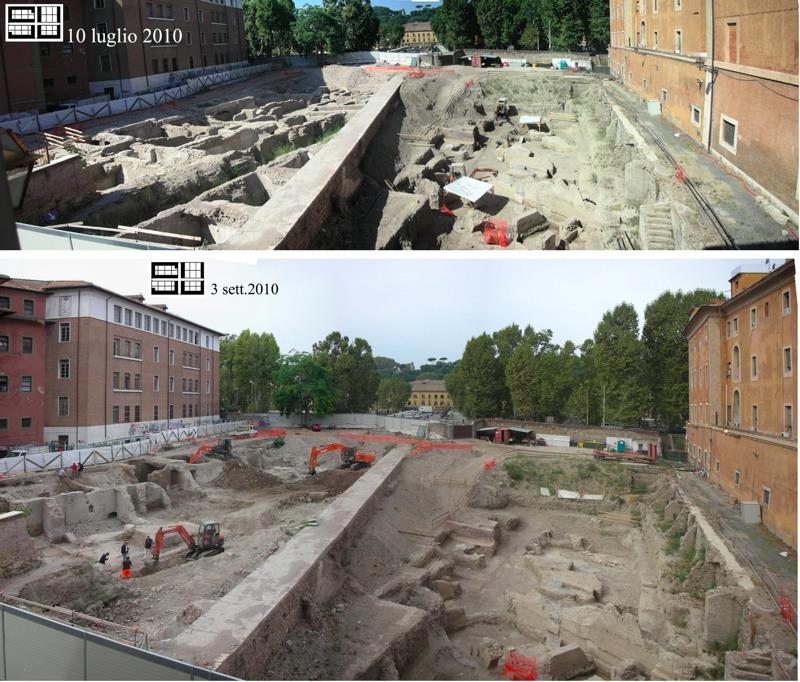 A 26 July 2010 article in the Corriere Online quoted Rome’s Superintendent of Archeology as declaring the ruins to be “of scant importance” and the demolition of the basements of Renaissance/Baroque buildings in the south half of the site continued. CAM, the company planning to make money from parking garage, declared that work would continue and the garage would be completed on schedule. In late 2010 and early 2011 more Roman ruins were unearthed in the southern half of the site too. Work on the garage has been temporarily stopped as a result.